Fixed targets for greenhouse gas (GHG) emissions — agreed at the Paris climate conference (COP21) in December 2015 — mean that 195 countries worldwide are now committed to reducing emissions to limit the global temperature rise to 2oC. The Paris Agreement and additional signatories to the World Bank’s Zero Routine Flaring by 2030 drive shows governments are becoming more prescriptive about reductions in gas flaring and venting. This has resulted in more stringent regulation of high-flaring industries such as oil and gas and chemicals, with companies operating in these sectors having to invest in technologies to reduce the need for gas flaring or venting, and accurately measure the gas they release. Since 2005 the European Union (EU) has been adopting its own Emissions Trading Scheme (ETS), which monitors and reports on the emission levels of more than 11,000 power stations, industrial plants and airlines across 31 countries, including all EU member states as well as Norway, Liechtenstein and Iceland. The ETS programme was the first of its kind and remains the biggest greenhouse gas emissions trading scheme in the world. 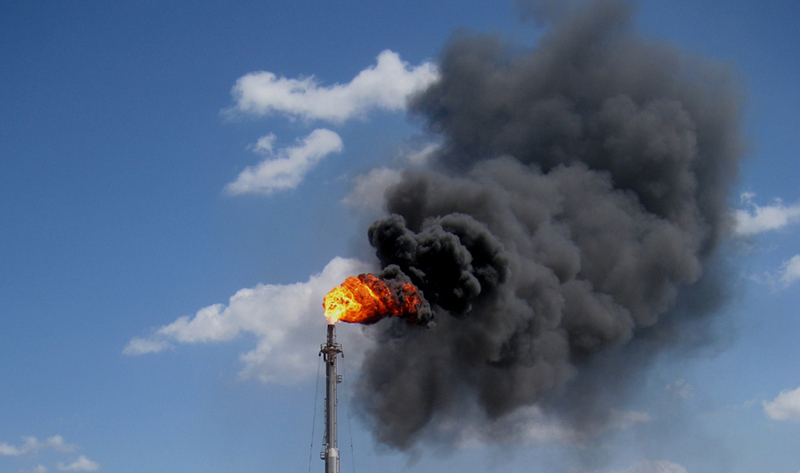 The scheme requires all operators to report and measure flare emission levels, and obligates organisations that emit gas to cover all of their emissions with allowances or face substantial financial penalties. Any allowances can be ‘banked’ for future years or sold to other operators in an allowance ‘market’. The EU aims to use the ETS to reduce emissions from all sectors by a further 21% by 2020, and then 43% by 2030. To achieve these targets, ‘absolute caps’ of CO2 emission allowances for industries under the EU ETS scheme will be reduced annually. This annual reduction in absolute caps will reduce allowances by 1.74% every year. Moving forwards, accurate measurement of emissions in industry will become even more central to ensuring that global climate targets are reached. One of the most vital components of the ETS is the requirement that operators are able to accurately report flare emissions and that all equipment used to measure them is appropriately applied, maintained and calibrated. Each operator is prescribed a window of uncertainty for measurements to fall within linked to the specific framework applied to that operator. This framework is three-tiered and is based on the total amount of emissions produced each year. The EU ETS allows operators to use different methods to calculate the amount of gas they flare, and does not impose a specific technology on installations for measuring flow. An operator can use a variety of measurement techniques, including flow meters installed in contributing streams rather than in the main venting stack. Operators using ultrasonic flare gas meters achieve the most accurate results which enable the most effective reduction schemes. Companies with offshore operations have lower restrictions to reflect the particular technical challenges of operating in remote and hostile environments. All EU operators that flare or vent gas are required to provide a chemical break down of the composition of the emissions they produce. This emissions data is then used to calculate the total amount of carbon dioxide flared into the atmosphere, in both individual countries and across the continent.